Do you want to know what components make up a dance? 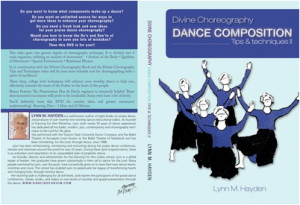 Do you want an unlimited source of ways to get more ideas to enhance your choreography? Would you love to know the Do’s and Don’ts of choreography to save you lots of mistakes? Then this DVD is for you!! During our Spring conference, the participants created all kinds of shapes, designs, and movement ideas, incorporating an Analysis of Movement. To discover the many variations of movement and movement phrases that can be done in choreographed (as well as spontaneous) dances. To reveal the depth and breadth of physical movement possibilities that will enhance and activate the worshipper’s vocabulary of expression. Therefore, the learned quality variations planted within the worship dancer, will give greater meaning to their outward demonstration of gospel presentations. The Presentation Dos & Don’ts segment is extremely helpful for those who want to present with a spirit of excellence! Do – (when possible) try to pick them up from the side or front of the platform (so the congregation will see the front of you instead of the back). Don’t – cover your face with your arm or prop when going across the stage. Do – have your upstage hand up so the audience may see the glory of God on your face. 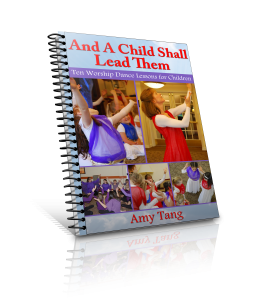 You’ll definitely want this DVD for creative ideas and pointers that will help your worship dances minister most effectively. Be sure to add this one to your collection!!! People who like this also get the corresponding book and video Divine Choreography and Choreography Tips & Techniques. These items go hand in hand with the Dance Composition video. Be sure to get these as well!